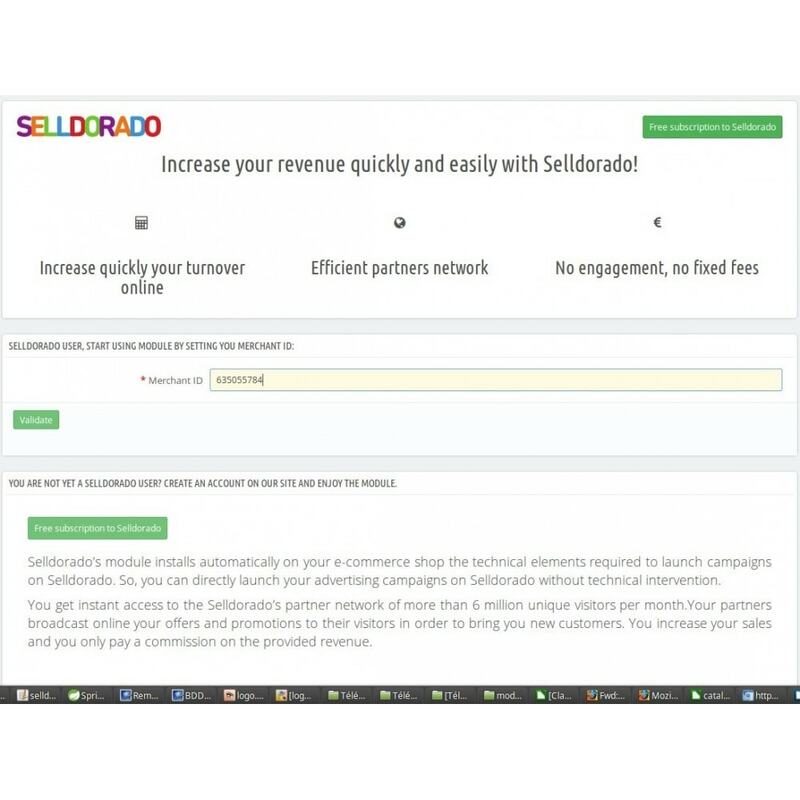 Selldorado : your online ads quickly & easily ! Início / Módulos PrestaShop / Tráfego & Marketplace / Selldorado : your online ads quickly & easily ! módulo	Selldorado : your online ads quickly & easily ! Selldorado’s module installs automatically on your e-commerce shop the technical elements required to launch campaigns on Selldorado. So, you can directly launch your advertising campaigns on Selldorado without technical intervention.